A Tibetan political leader has urged the Chinese government to resume dialogue, saying that is the only way Beijing can guarantee true autonomy for the Tibetan people. 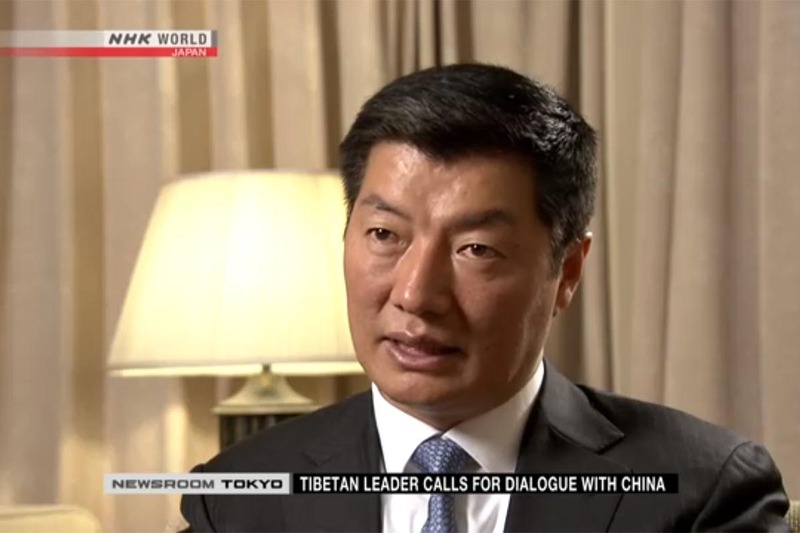 The prime minister of the Tibetan government in exile Lobsang Sangay gave an exclusive interview to NHK. This year marks the 60th anniversary of the Tibetan uprising that caused thousands of refugees and the Dalai Lama to flee to India. Sangay and the government in exile want talks with China to negotiate more autonomy. But Beijing refuses such talks, saying that the aim is separatism. Sangay says that in the six decades of Chinese rule, Tibetans have not been allowed to hold peaceful demonstrations and have faced other suppression under the Chinese government. Harvard-educated Sangay was born in India and has never been to Tibet. His prospects of returning home in foreseeable future are slim. Now his challenge is motivating young Tibetans living abroad, saying they need to find a way to maintain their identity, as well as pursue better education so that the young generation can become better leaders.